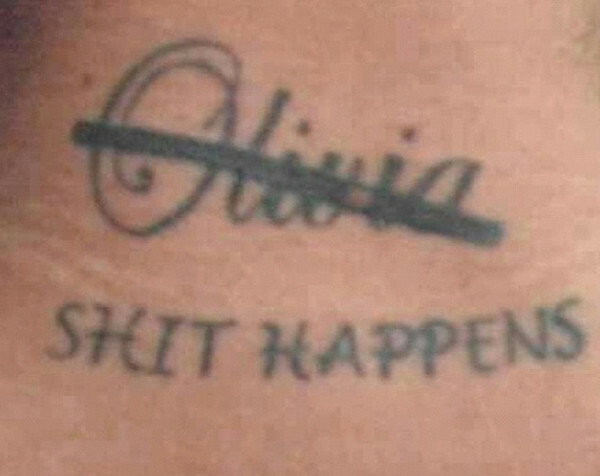 Olivia happened is what it sounds like. Stephanie always loves to see this one. I’m glad I’m not into tats or my body would look like the edited first draft of a bad novel. Good one, John. I’ll remember that. Do not tatoo your novel on your body. Hahaha…. which is why I would suggest sticker tattoos and then, after a few years, if things are going well, then have a permanent one… (I hate the very idea of tattoos.. but well, if someone likes them.. this is a prime example of what might happen in the end..) hahaha.. nice one..
Yeah, I’m not a fan of the tatoo.